Dr. Darcie Heyes is a native Californian and received her bachelor’s degree in agribusiness with a minor in biology from Arizona State University. Her veterinary education began with Oregon State University School of Veterinary Medicine, where she attended her first year. 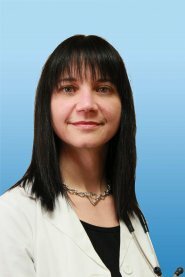 Dr. Darcie then spent two years at St. George’s University in pursuit of a diverse education, offering more surgical experience. She then finished her fourth year clinical rotations at Louisiana State University. This wide-ranging education gave Dr. Darcie an unparalleled exposure to domestic and international perspectives on the transmission of interstate and international infectious diseases; and on many occasions has facilitated diagnoses that ordinarily are not identified in California. Dr. Darcie has an emergency and critical care background. She worked with Kern Animal Emergency Clinic in Bakersfield and Orange Counties Pet Emergency Clinics in Garden Grove and La Habra. She has a special interest in pain management, soft tissue surgery, laser surgery and orthopedic surgery. Her dream to be a feline only doctor was facilitated by her love of kitties and the desire to provide five star services coupled with state of the art medicine. She is the Hospital Director for The Cat Doctor Ventura, The Cat Doctor Thousand Oaks and The Cat Doctor South Bay locations. In her spare time she enjoys spending quality time with her two precious cats Ralley and Scotty and her two horses Feather and Apples. She has volunteered her time with the BSPCA providing vacinations, microchipping, pet adoption and cat neuter clinics. She also likes to write colums for responsible pet care as time permits. Dr. Darcie enjoys life raising children, riding horses, gardening, paddle boarding and home improvement. Dr. Kendra Decile graduated from the University of California Davis in 2003. While at UC Davis, she was involved with multiple research projects related to feline diseases. Dr. Kendra worked with the Feline Vaccine Associated Sarcoma Task Force in collecting data for early investigations into feline injection site sarcomas. She also helped design studies and diagnostics for feline asthma which resulted in several publications. During this time she maintained and medicated a colony of 40 research cats. Dr. Kendra then completed a rotating small animal internship at the University of Illinois, Urbana-Champaign in 2004 following graduation. Her desire has always been to work in a feline exclusive practice. Following her passion for cats, she practiced for 3 years as an associate veterinarian at Hemingway Cat Hospital in San Jose before moving back to her home town of Ventura. 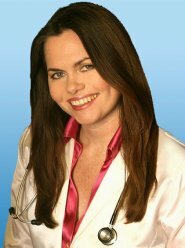 Dr. Kendra then joined The Cat Doctor Group and now splits her time between the Ventura and Thousand Oaks offices. She enjoys all aspects of feline practice, but particularly enjoys geriatric medicine and dentistry. Dr. Kendra lives with her husband, Edgar, and her cat Jiro in Ventura. When not at The Cat Doctor offices (which is almost never), she enjoys hiking, swimming and gardening.